QMobile NOIR X11 and QMobile NOIR X25. Whenever the company announces a new Android phone, its fans hope that it would might have latest version of Google's operating system but they were at a loss to view all the major and flagship models of QMobile with Android 4.2 JellyBean version. 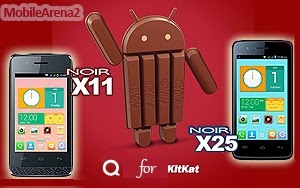 After a very long interval, QMobile at least announced two entry level handsets with Android 4.4 Kitkat flavour and these are QMobile NOIR X11 and QMobile NOIR X25. 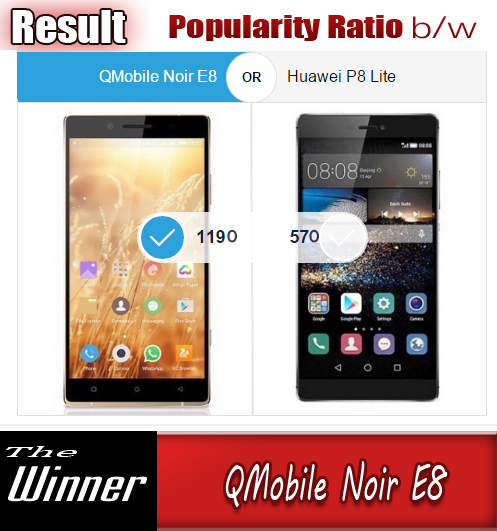 QMobile NOIR X11 possess 3.5" screen with HVGA resolution that provides 166ppi value. 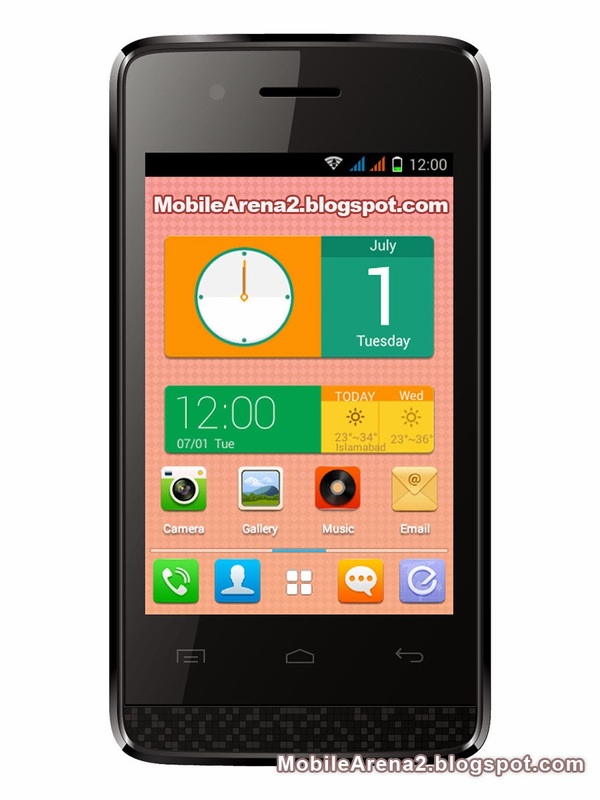 It has 1.0 Ghz Dual-Core processor, 4GB internal memory, 512MB RAM and a micro SD-card slot that supports SD-card upto 32GB. Camera is 3.2 MP and a VGA camera is also there on front side. There is no other special sensors are installed on front side. QMobile NOIR X25 is the big brother of the former that might be your first kitkat flavored phone among the QMobile handsets. It specs are slightly upgrade than its little sibling. In this handset, screen size is bigger, it is 4.0". CPU is also slightly better. All other features are almost same as its twin and price difference is lower than 1,000 rupees. 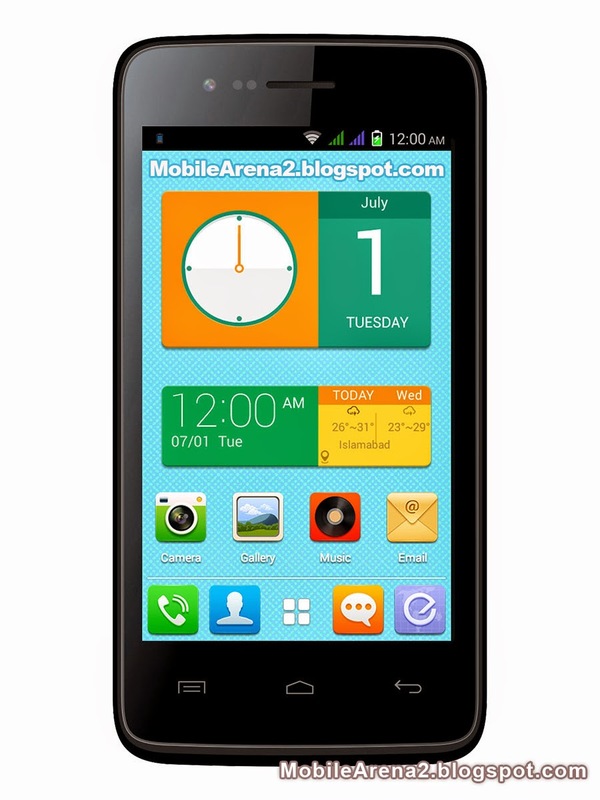 It offers like 1.3 GHz Dual-Core processor but the same 4GB internal memory and 512 MB RAM. Primary camera is of 3.2MP and VGA front cam are there on board. It also has 1300 mAh battery.